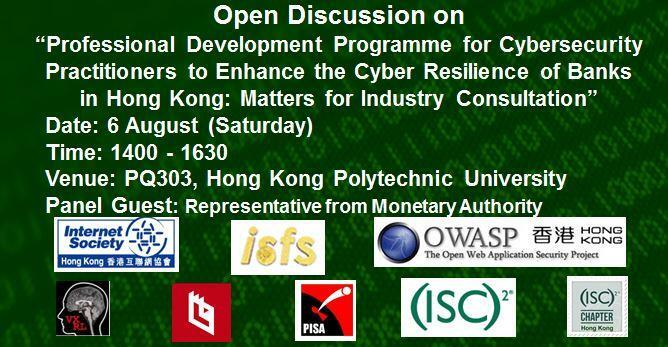 Open Discussion on "Professional Development Programme for Cybersecurity Practitioners to Enhance the Cyber Resilience of Banks"
As you may know, to further strengthen the cyber resilience of the banking sector in Hong Kong, the Chief Executive of the Hong Kong Monetary Authority (HKMA) announced the launch of a Cybersecurity Fortification Initiative (CFI) on 18 May 2016. The CFI comprises three key components, covering a cyber risk and resilience assessment framework (C-RAF), a cybersecurity professional development programme (PDP), and a cyber intelligence information sharing platform. The effective implementation ofthe C-RAF would require the assessment and testing services of qualified and experienced cybersecurity professional. Enclosed with this letter is a consultation draft for determining the required qualification and experience for the PDP. It would assist us in processing your comments if they are provided as responses along those questions if possible. What we have been done? 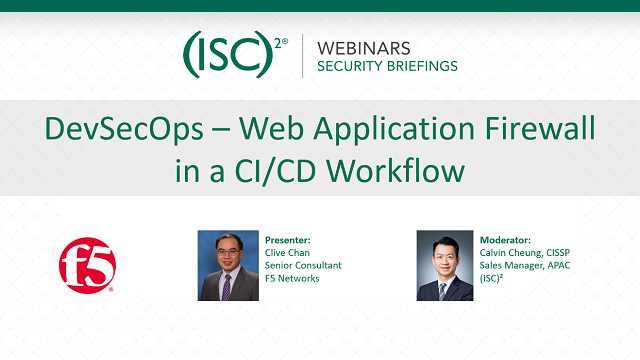 To Response this great change and impact in the information security sector especially the new qualification requirements for the Penetration Testing for the banks in Hong Kong, (ISC)2, ISOC HK Chapter, OWASP HK Chapter, PISA, (ISC)2 Hong Kong Chapter, ISFS, DragonThreatLab and VXRL join organize this open discussion on this Cybersecurity Fortification Initiative (CFI). You can also visit the public Facebook page (https://www.facebook.com/Hkmapentestframework/), which exhibits the comment and opinion about the framework from industry and communities, about Penetration Test Framework consultation. Seats is limited. Please express your view either by written or attending our open discuss.